Another meaningless friendly international? You bet! David Beckham, talking to sleeve, stretching groin. Joe Cole & Owen Hargreaves, friends again after the CL final. Is it me, or does Coley look a bit tubby these days? 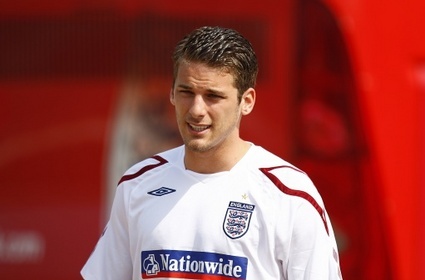 David Bentley, rocking the slick look. Not to be trusted then. A meaningless jog, before a meaningless game. 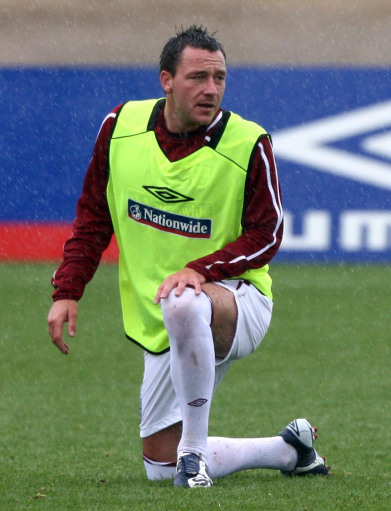 John Terry: lost in time, like tears in rain. 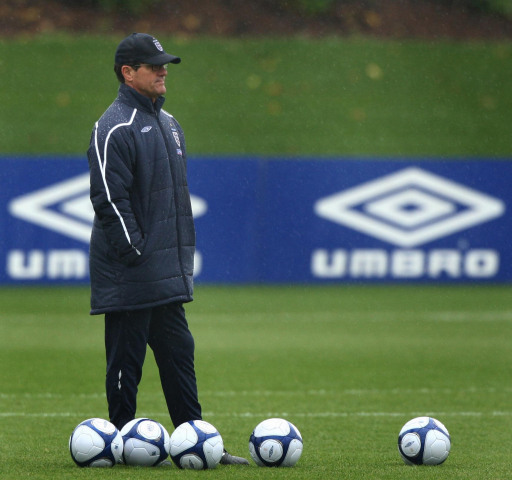 Don Fabio Capello proves that not all Italian men are stylish.